He's the real deal. And then some. 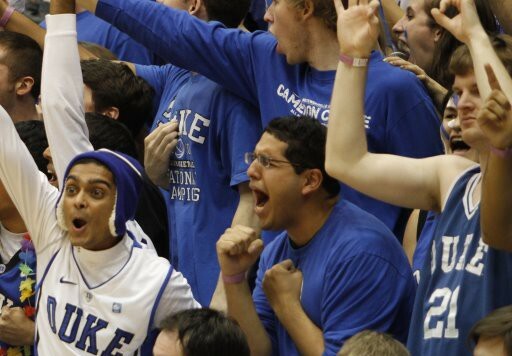 Duke’s Top Commitment for the Class of 2010, Andre Dawkins, has been cleared to play this upcoming season, Fox Sports college basketball writer Jeff Goodman reports. That’s right – we may not have to wait until 2010 to see the third rated shooting guard in his class in Cameron Indoor! If this is confirmed, it would be HUGE news for next year’s team. We had planned on having just two scholarhip players under 6’7″: Jon Scheyer and Nolan Smith. Crazie Talk will continue to follow this story. Check our Twitter and Facebook page for frequent updates regarding this absolutely brilliant news. We’re all pretty damn excited.